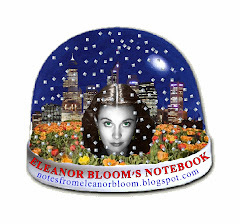 notes from eleanor bloom: Ever chased a rabbit? ...Or should I say, ever chased a young and sprightly bunny which you are temporarily babysitting and so cannot afford to lose whilst the lawnmower man is attempting to get in the gate to your back yard? When the lawnmower man has finally left in a rattling, green blur have you returned to the yard to see said bunny out of hiding and happily relaxing in the garden as if there has been no fuss whatsoever? Dragging your nerves inside and, although it's quite uncharacteristic and you've yet to have lunch, hastily break the seal on a six pack of 'Cowboy' shots, wrench one out and shakily throw it's heavenly, soothing milky and alcoholic contents down your throat?